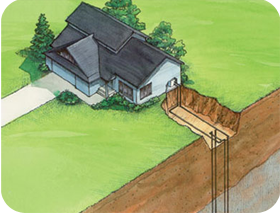 Sunbelt installed our first geothermal (sometimes called ground source) unit in Shawnee, Ok in December 1985. As of August 2012 that very first unit is still operating. Over the years we have installed most major brands of geothermal units. Years ago we recognized that WaterFurnace was the industries' leader in quality and reliability and we have sold WaterFurnace since 1988. Weather you need a complete new installation of geothermal units for a large commercial building or just service on the geothermal unit in your house, we have the skilled staff you need.